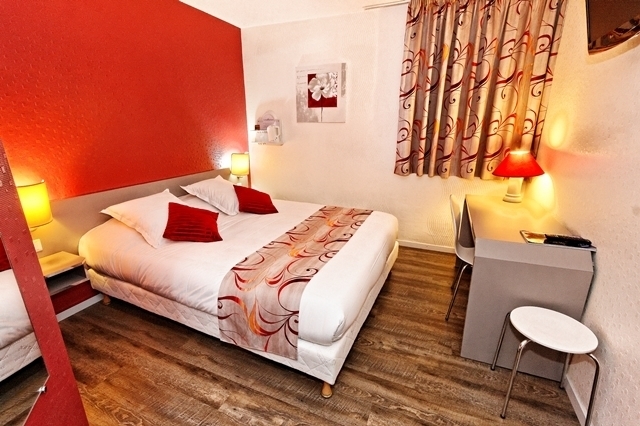 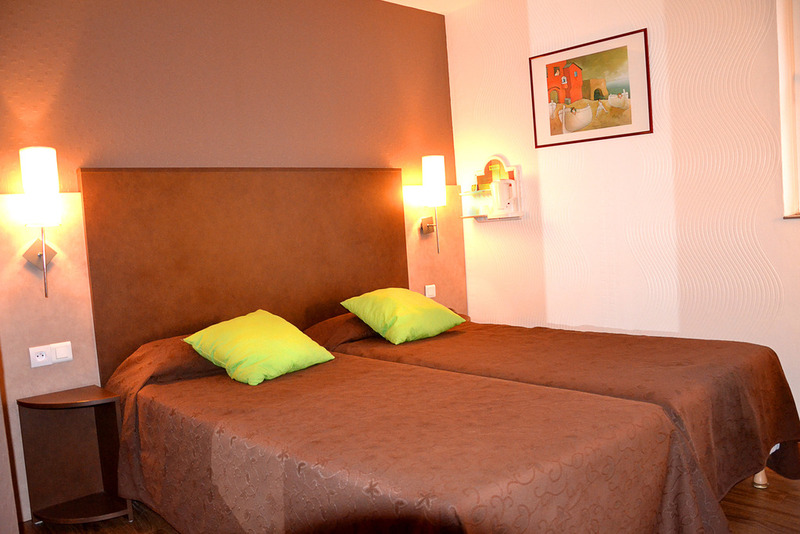 At your disposal, 42 cosy rooms, including sixteen located on the ground floor and two (PRM). 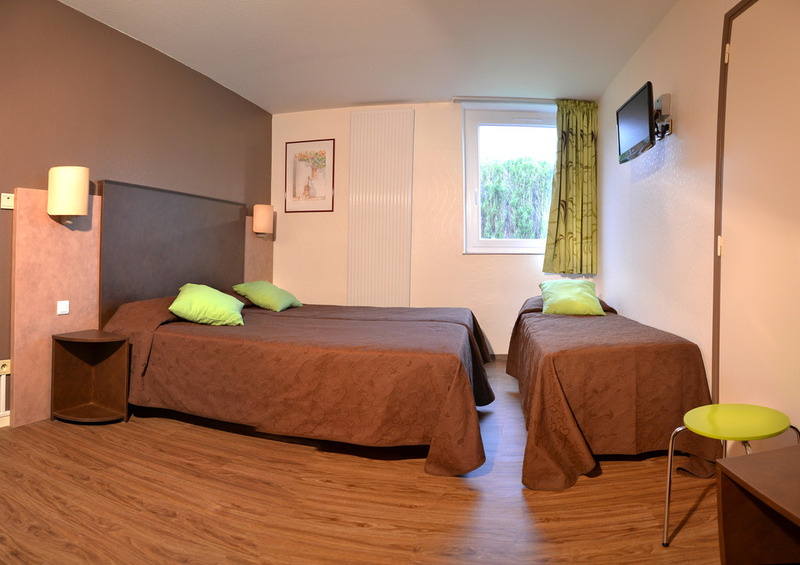 A choice of rooms with one double bed or two beds for one to five guests with a bathroom fitted with an Italian shower or a bath. 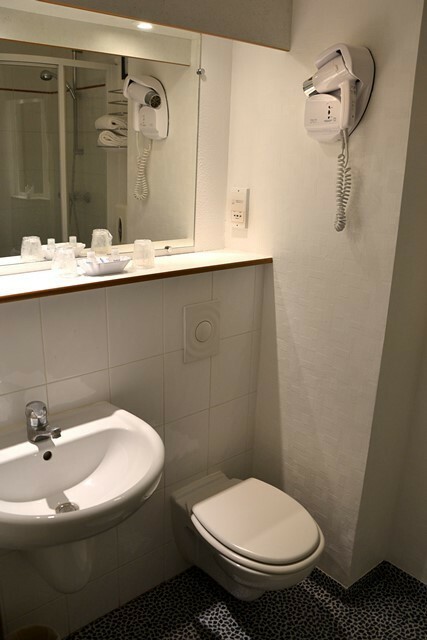 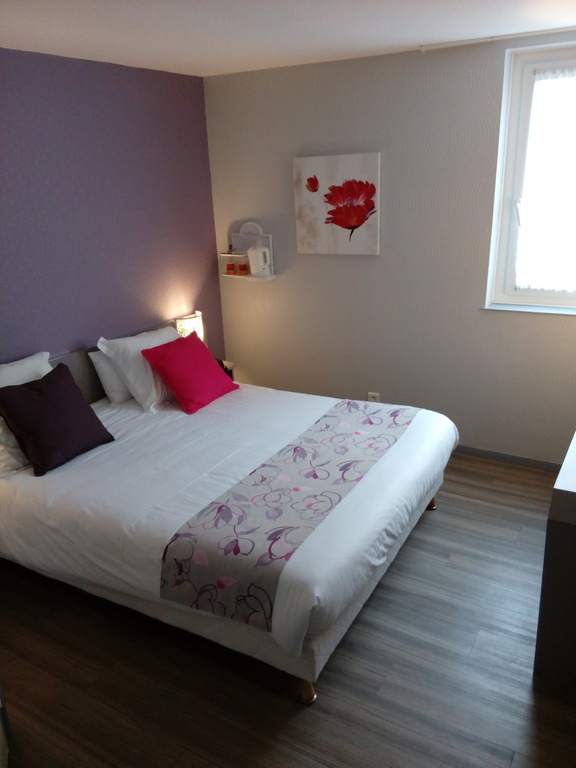 The facilities offer a high quality hotel bedding (BULTEX), flat-screen TV (51 cm) with CANAL + and BEIN SPORTS, secure and unlimited wifi access, courtesy tray, hairdryer, room service and other services on request.